Situated in suburban Metairie, Four Points by Sheraton New Orleans Airport is a pioneer by becoming one of the first smoke free hotels in New Orleans. 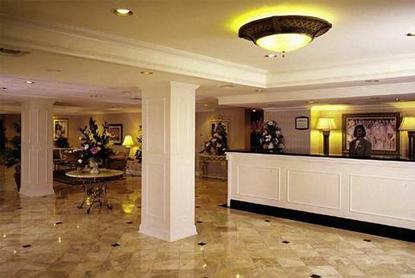 Our seven-story hotel offers 220 well-appointed guest rooms, including three one-bedroom suites. We are also completing an extensive renovation, so every room is equipped with new, inviting furniture and amenities.Additional facilities include a 24-hour fitness center, complimentary parking, and complimentary bottled water in every room. Soak up the sun by the outdoor pool and Jacuzzi. Come join the fun in MX Lounge for nightly specials and live entertainment. Temp your taste buds with one of our signature dishes from Then, Now and Next Restaurant.Four Points by Sheraton New Orleans Airport is located in close proximity to many of New Orleans' prime tourist attractions - only three miles from New Orleans Airport and a mere 10 miles from the French Quarter and downtown New Orleans. Won't you join us?